All Products > "58519 Tamiya Toyota Bruiser"
• 1/10 scale R/C assembly kit. 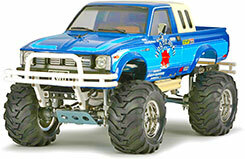 • The Bruiser body, including the sleeper cab, is made of durable injection-molded ABS plastic. 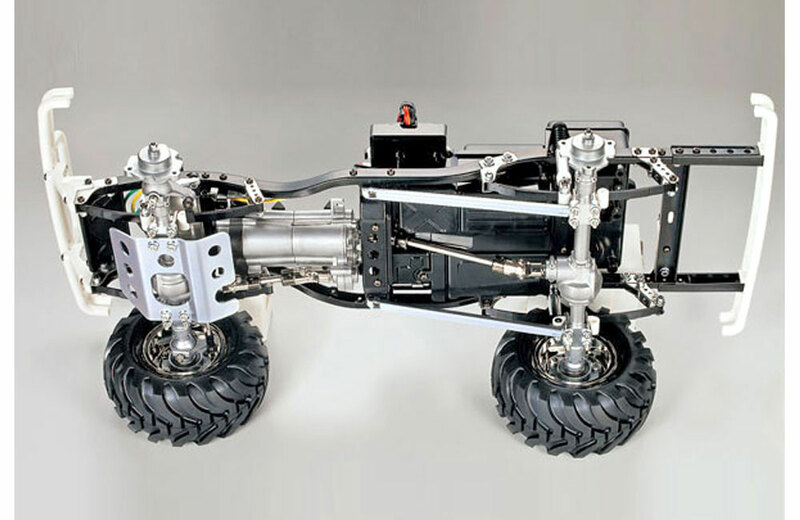 • Metal ladder frame chassis retains the original layout and features a black-finished surface. 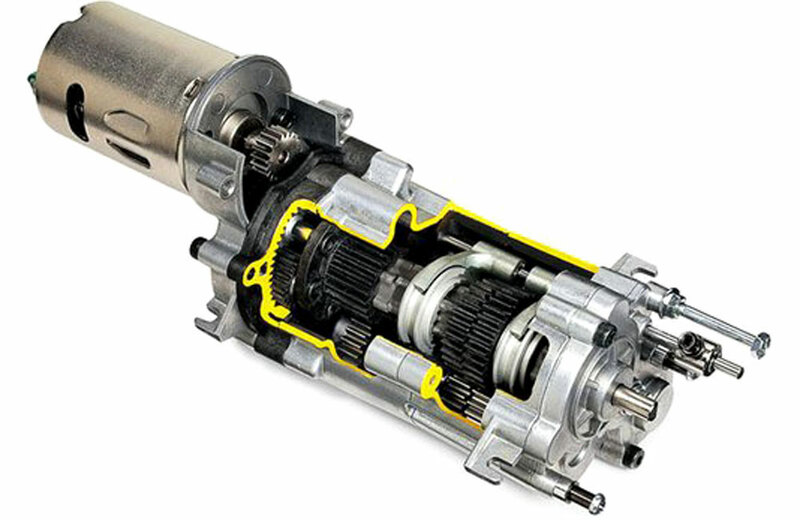 • Newly-designed die-cast transmission is equipped with planetary gears. • Refined clutch mechanisms offer smooth gear changes and superb durability. 3-speed gears are possible (1st gear=4WD, 2nd & 3rd gears=Rear Wheel Drive). 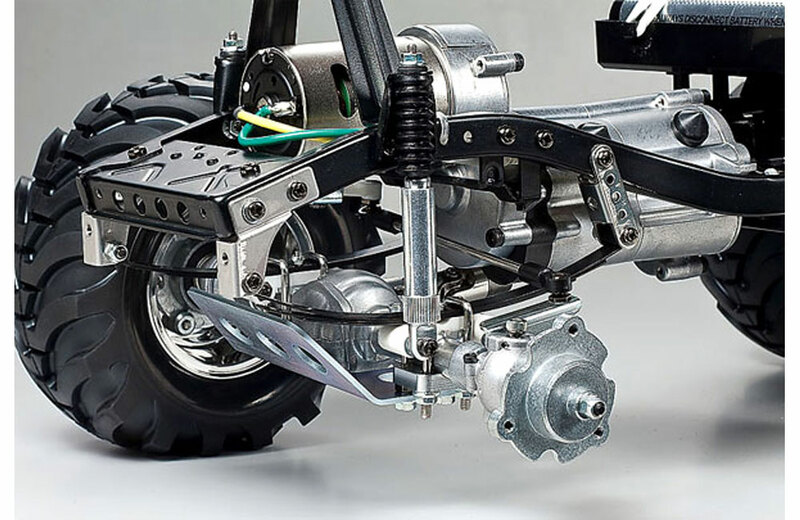 • Newly-designed front/rear axle housings are equipped with differential gears to offer smooth cornering performance. • Front and rear differentials may be locked for enhanced off-road performance. 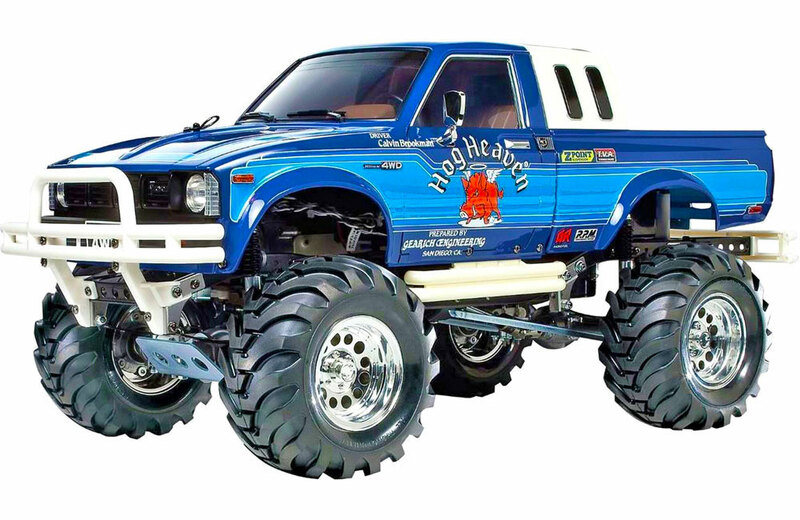 • Front & rear large diameter tires offer superb traction. • Separately available LEDs can be installed in the light cases to depict realistic head and tail lights.